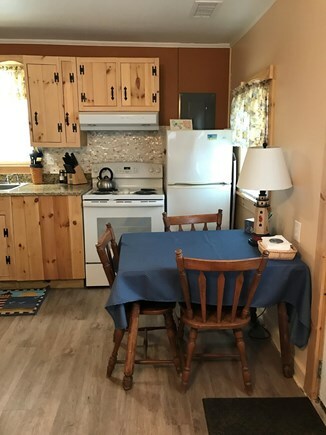 This adorable, charming and completely renovated 1-bedroom cottage is a short 5 minute walk to Sea Street Beach. 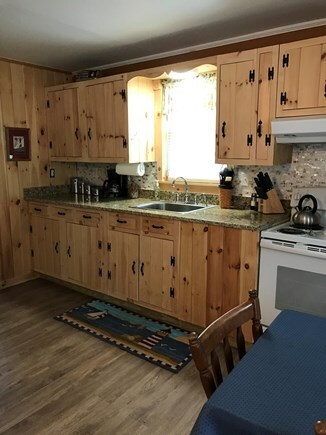 The cottage features a queen bed with gel topped foam mattress, and pillows (all encased in anti-microbial covers), a full bath with standard sized (36'' wide) shower, and a full kitchenette which includes a full-sized stove, a microwave, toaster and both a Keurig and Mr. Coffee. 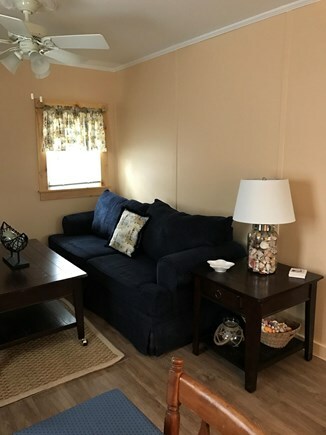 There is an adjoining living room with a sleeper sofa. 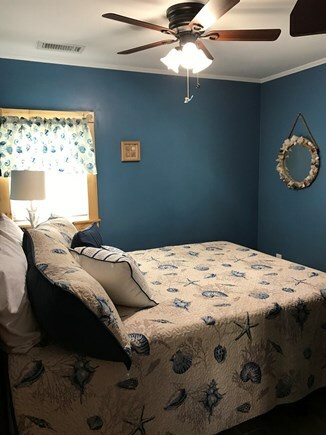 This cottage has a new central HVAC system and 2 ceiling fans for total comfort. All paper products are supplied for convenience. 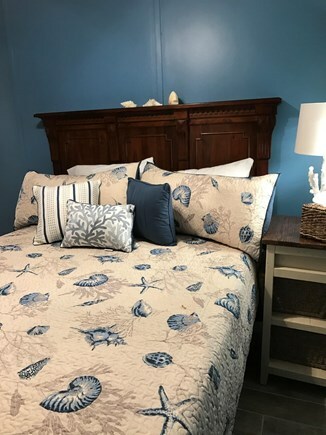 Please bring your towels, sheets, and pillows (Linen service is available locally, if desired). Blankets are supplied. 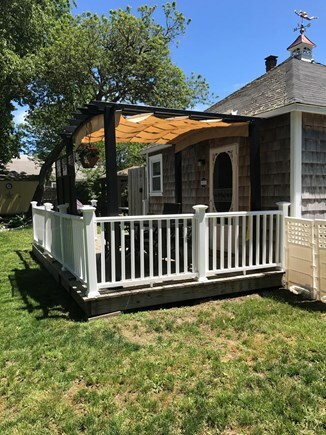 The cottage includes a rear deck with a shaded pergola, dining table and gas grill. Additionally there is a large outdoor shower. A new front deck with rocking Adirondack chairs adds to the charm. A privacy fence separates the cottage from the house. There is parking for 2 cars. For those with bicycles the Cape Cod Rail Trail parking area is a 5 min. car ride from the house. 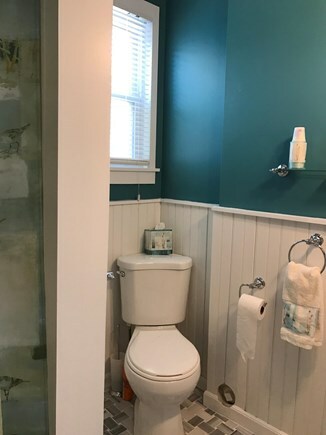 This cottage can be rented as a separate unit, or can be added to the rental of the Angel of the Sea Victorian on the same property (see Property ID 26228 for house details). Our entire family stayed earlier in the summer at the Angel by the Sea main house and Honeymoon Cottage. Both were absolutely perfect! It inspired us to return without the entire family to stay at the cottage for our Anniversary last weekend. The Honeymoon Cottage is just adorable and extremely cozy. Parking is right outside the door in a private driveway. There is a great little front sitting area as well as a private back deck with table and chairs. Stayed here last summer with my sister. Top notch amenities including central air, new kitchen and top kitchen accessories. Outdoor deck with pergola is amazing. Hard to find anything as nice. Won't be disappointed. Owners are amazing. 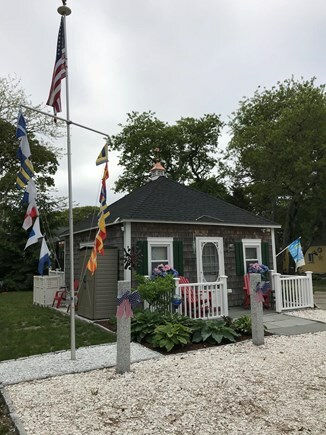 This cottage represents the fulfillment of a lifelong dream of having a home on Cape Cod and we are proud of the restoration of this classic 1877 Queen Ann Victorian (house) and cottage, which was done by us with loving care and attention to detail. 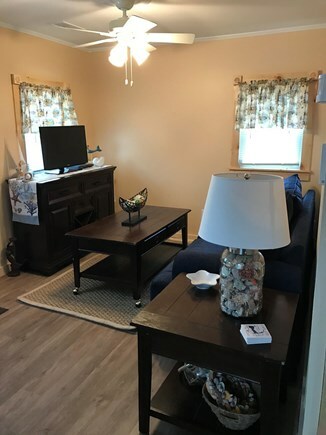 We know our renters will have a wonderful vacation in an inviting and comfortable home and or cottage so close to Sea Street Beach! Walk out the front door and right down the street is Sea Street Beach! 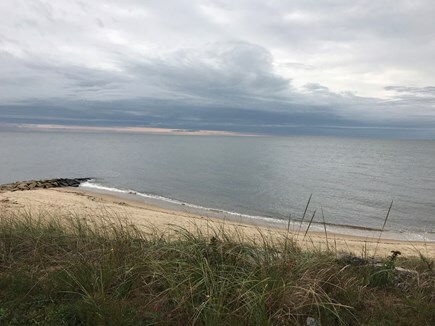 This is a wonderful and popular beach, with bathrooms available and, in the Summer, there is a snack bar, but with the property so close to the beach you can easily walk home to grab lunch, recharge and then enjoy more of the beach! There are many close restaurants offering all kinds of great seafood,and if you have a hankering for great ice cream a short walk toward town gets you to Sundae School Ice Cream. Many other fun in the sun opportunities are close by like kayaking or paddle boarding on Swan River. Dennisport is centrally located and offers easy access to everything the Cape has to offer. It is a family centric area with tons of New England charm. The Cape Cod Rail Trail is a 5 minute car ride away.